Observed rainfall in the upper basin recorded deficits in 2014 for all three sub-basins with Hartwell’s deficit being most pronounced. However, for most of the year lake levels remained at or above average, making for a near-optimal year in water-related recreation. The Hartwell sub-basin received 48.2 inches in 2014, which is 10.7 inches below average. In fact, Hartwell exceeded average rainfall in only two months: April and October. In comparison, Thurmond exceeded average rainfall five months in 2014: April, May, September, November and December. Thurmond and Russell deficits were closest to annual average rainfall. Thurmond received 44 inches for the year, just 2.2 inches shy of average. Russell received 45.3 inches, just 1.6 inches shy of average. Compared to 2013 – the second wettest year on record for Hartwell and Thurmond, 2014 proved to be a fairly uneventful year in terms of precipitation. December was turning out to be an exceptionally dry month until Dec. 23 when all three sub-basins began getting relief just in time for Christmas. Before Dec. 23 the entire basin recorded less than an inch of rain. On the eve of Christmas Thurmond and Russell received more than 2.6 inches and Hartwell nearly 2.5. In the final days of the month additional rain brought Thurmond and Russell above average for the month, and Hartwell near the December average. This year is starting off with a neutral forecast. 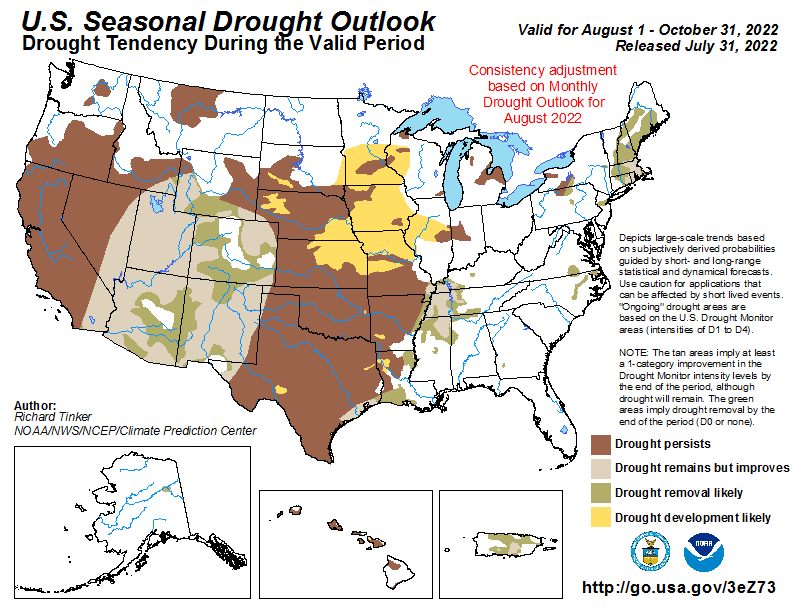 Only an isolated portion of the Savannah River Basin is experiencing abnormally dry conditions – and NOAA is forecasting a likelihood of drought removal in that area by March. The National Weather Service announced Dec. 29 there is a 65 percent chance that El Niño (wet) conditions will emerge during the winter for the Northern Hemisphere. These conditions are predicted to last into the spring. Most models favor El Niño conditions, some predict neutral conditions and none predict La Niña (dry) conditions through the summer. This entry was posted in Declaration/Projection, Rainfall Update, Water Management and tagged 2014, 2014 rainfall, annual, December, December rainfall, El Nino, forecast, La Nina, Lake Hartwell, Lake Russell, Lake Thurmond, NOAA, precipitation, rain, rainfall update, Savannah District, Savannah River Basin, SRB, upper basin, US Army Corps of Engineers, US Army Corps of Engineers Savannah District, USACE, weather. Bookmark the permalink.